﻿ Rendering in SketchUp. From Modeling to Presentation for Architecture, Landscape Architecture, and Interior Design, Daniel Tal. Скачать или читать онлайн. The sure way for design professionals to learn SketchUp modeling and rendering techniques Rendering In SketchUp provides instructions for creating 3D photoreal graphics for SketchUp models using integrated rendering programs. The book serves as a beginner rendering manual and reference guide to further develop rendering skills. With an emphasis on step-by-step process, SketchUp users learn a universal approach to rendering varied SketchUp projects, including architecture, interiors, and site design models. 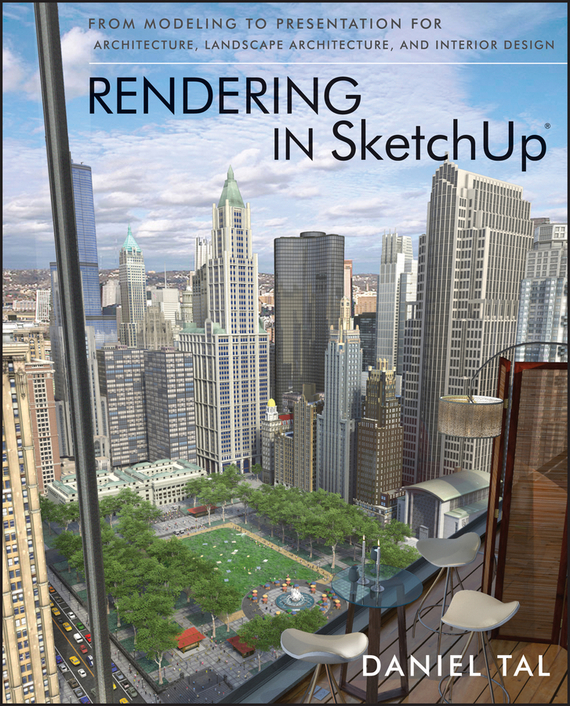 The book focuses on tasks and principles at the core of photorealistic rendering, including: Rendering process: Learn a step-by-step process focused on workflow within SketchUp’s familiar workspace. Universal method: Understand how the process can be used to work with a variety of different integrated rendering programs, including Shaderlight, SU Podium and Twilight Render**. These programs are easy to learn and function in SketchUp.